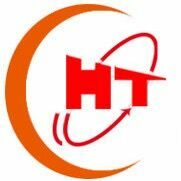 Product categories of Plasma Cutting Machine, we are specialized manufacturers from China, Plasma Cutting Machine, Waterjet Cutting Machine suppliers/factory, wholesale high-quality products of Hypertherm Plasma Cutter R & D and manufacturing, we have the perfect after-sales service and technical support. Look forward to your cooperation! Plasma arc cutting machine cutting technology is the processing of metal materials by plasma machine. Plasma cutting is using high temperature plasma arc heat to the metal part of the workpiece incision or partial melting (and evaporation), a method of processing and through the plasma momentum ruled out the molten metal to form incision.